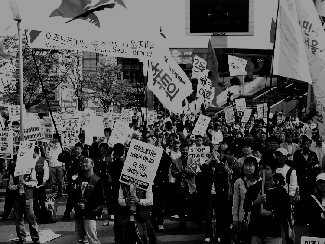 The Seoul-Gyeonggi-Incheon Migrants Trade Union is a union in South Korea formed by and for migrant workers regardless of visa status. This blog is set up to provide information about MTU and migrant workers in South Korea for the international community, eg. in English. MTU believes in full labor rights for all workers everywhere- regardless of ethnicity, regardless of nationality, regardless of visa or residence status. As such, we strive to build relationships and share solidarity with unions, migrant organizations and NGOs in other countries that are struggling for migrants' rights. STOP REPRESSION against MIGRANT WORKERS!